Every time we’ve been with Michael & Gabrielle, it’s been so fun! Remember their engagement session with their 4 cute puppies? 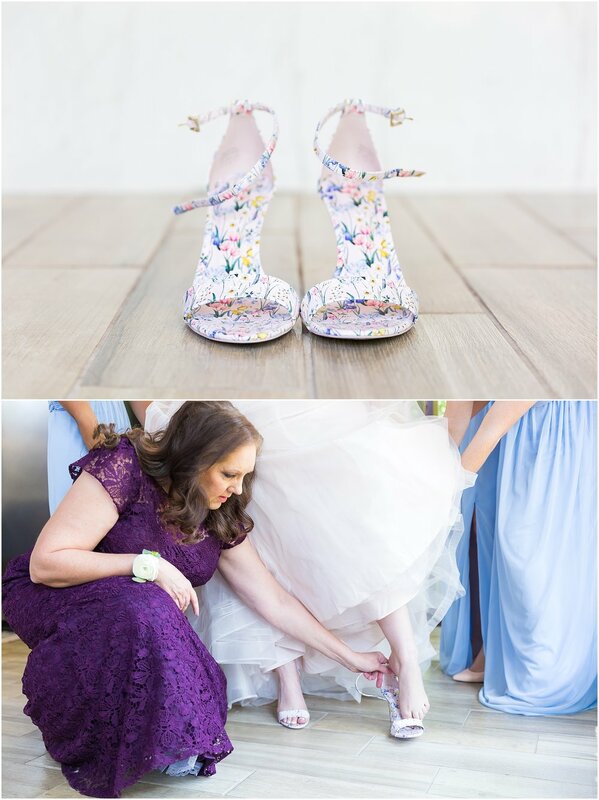 Whenever they’ve told us about their wedding day, it was filled with so many fun details we couldn’t wait to see it all come together. And on April 6th, driving through an intense thunderstorm, we were so excited to finally be heading to their fun wedding day! 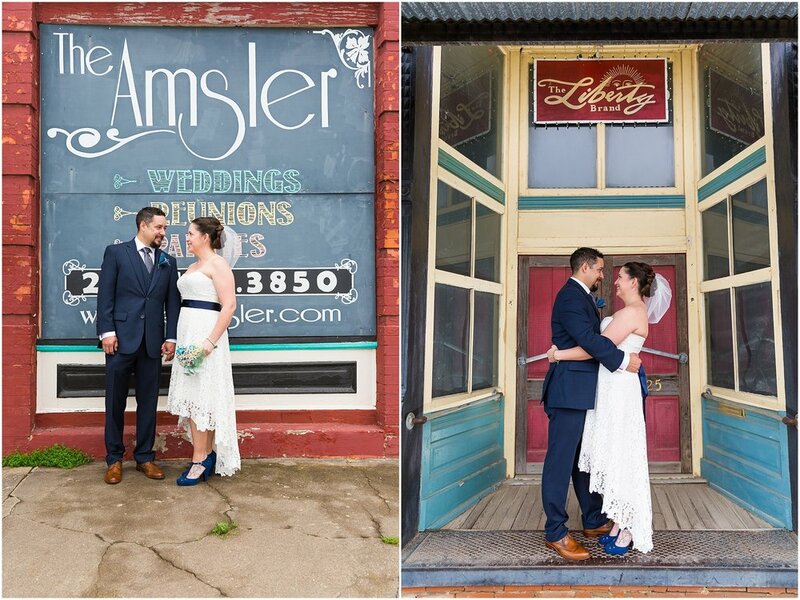 Michael & Gabrielle chose the historic Amsler Building as their wedding venue. This hidden gem in Crawford, Texas is such a cool spot to have a wedding. 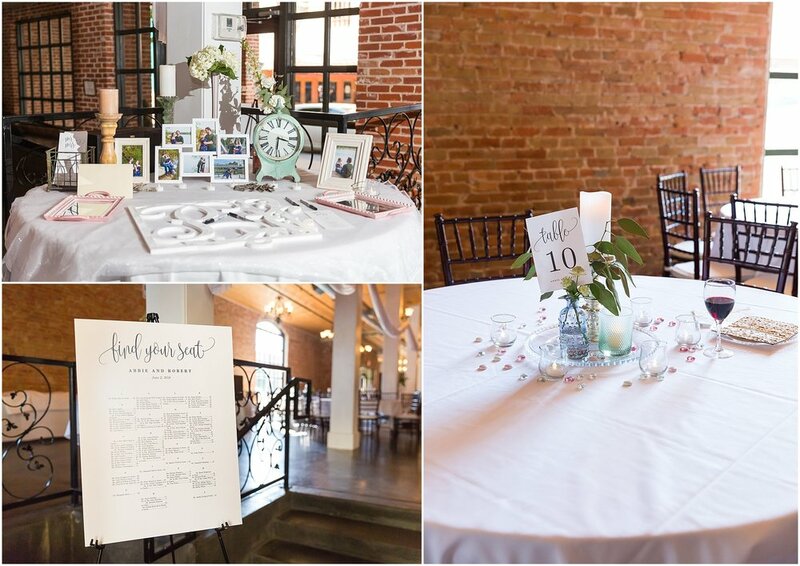 With its soaring ceilings, upper balcony, and expansive wood floor, the Amsler gave this whimsical wedding a cool warehouse vibe. 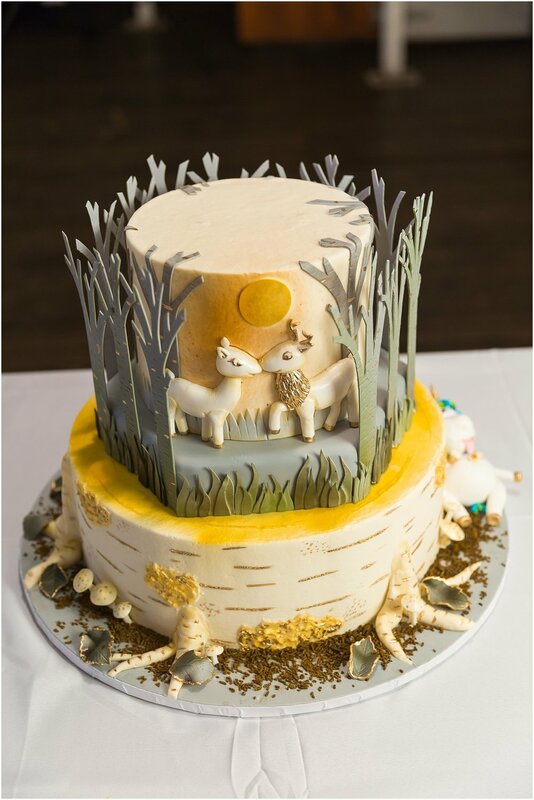 Speaking of whimsical, Gabrielle outdid herself with her wedding details! 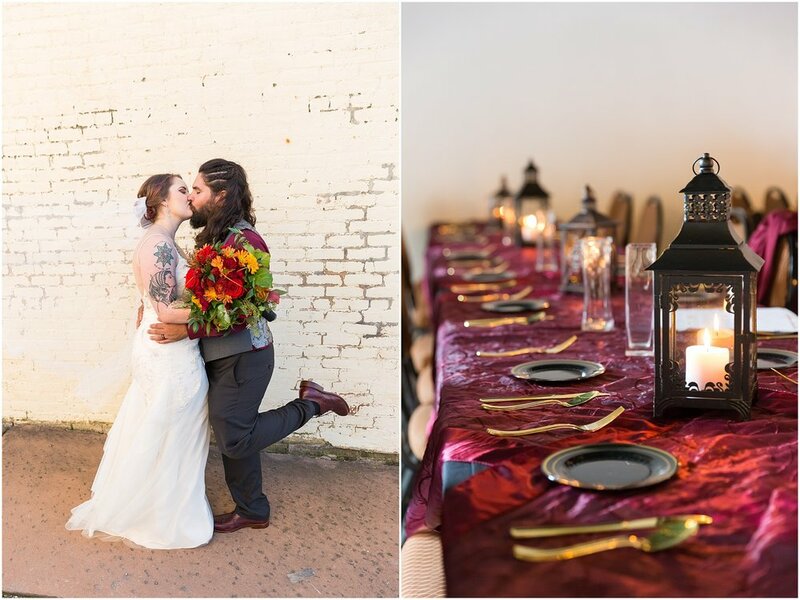 Her love of gnomes was on full display, with so many gnome figurines placed throughout the reception. 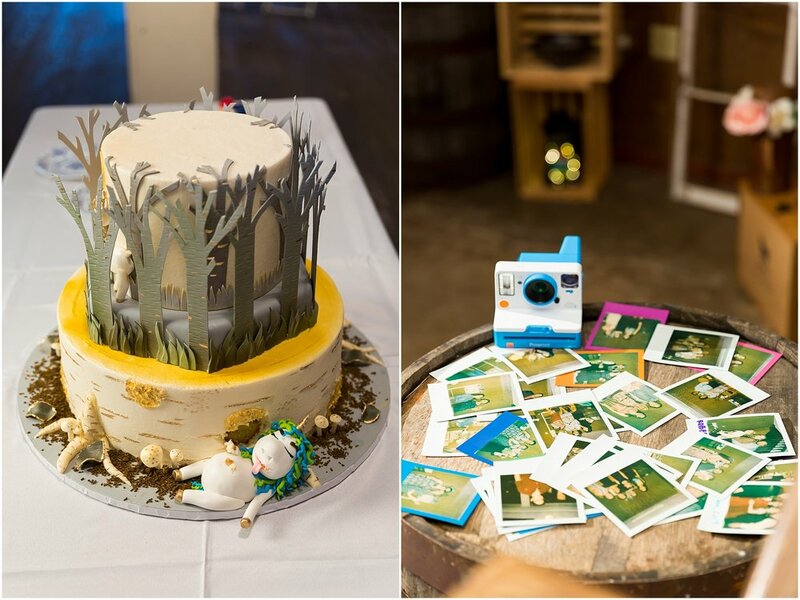 She had her unicorn pinata, and even a fun unicorn detail added to her cake by the talented Kimberly from All Sugar’d Up. Instead of a guest book, Michael & Gabrielle had guests sign vintage Christmas ornaments so they could remember their guests every year when they put up their Christmas tree. And instead of flower girls, there were bubble girls, who filled the aisle with bubble when Gabrielle came down the aisle. 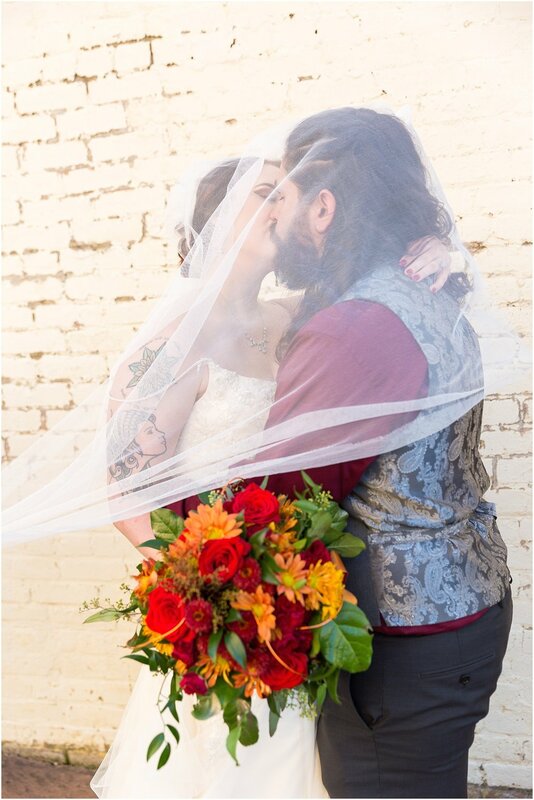 To top it all off, Gabrielle handmade every single flower, from her bouquet to Michael’s boutonniere to the table decor, from books, buttons and pieces of fabric left over from the handmade quilt her mother-in-law made them. 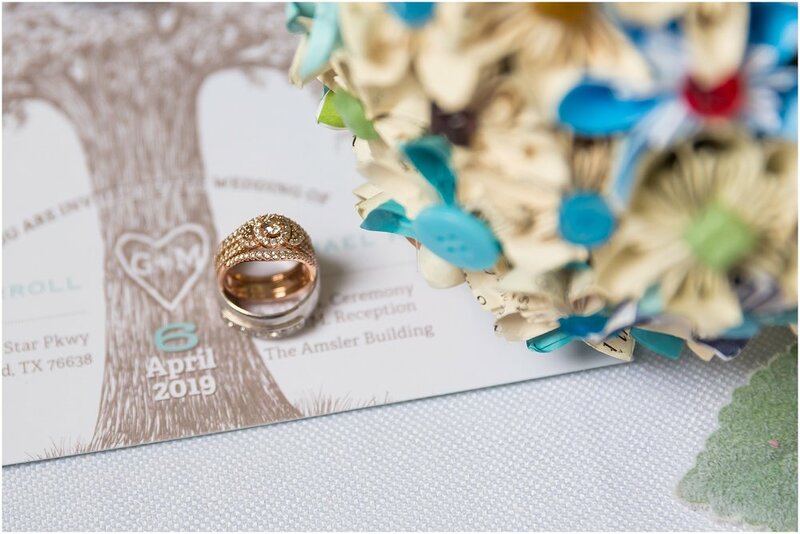 All of these whimsical details came together in such a fun way, highlighting the fun and joy Michael & Gabrielle bring with them wherever they go. 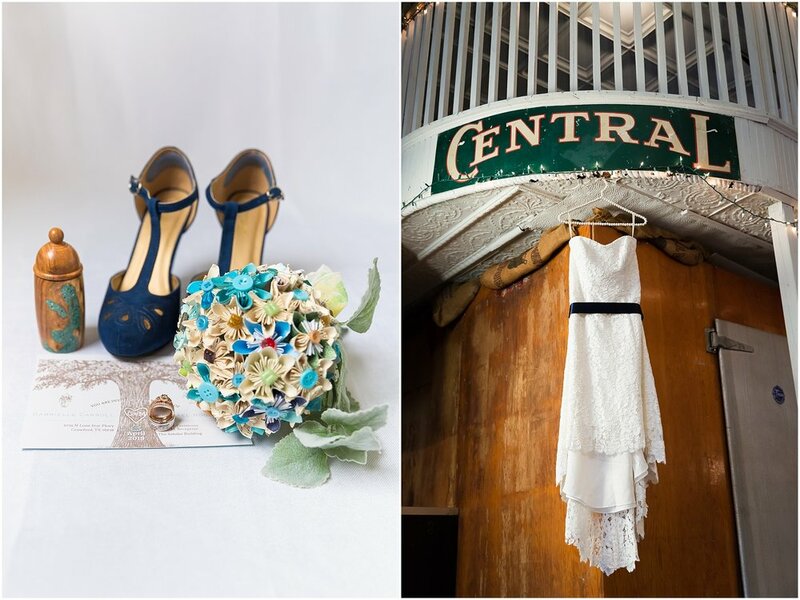 But the decor wasn’t the only joyful elements of this wedding. There were so many little moments that stand out too. Seeing Gabrielle’s close friends be her right-hand women all day, helping in every way possible, really showed how much love and support this couple has. 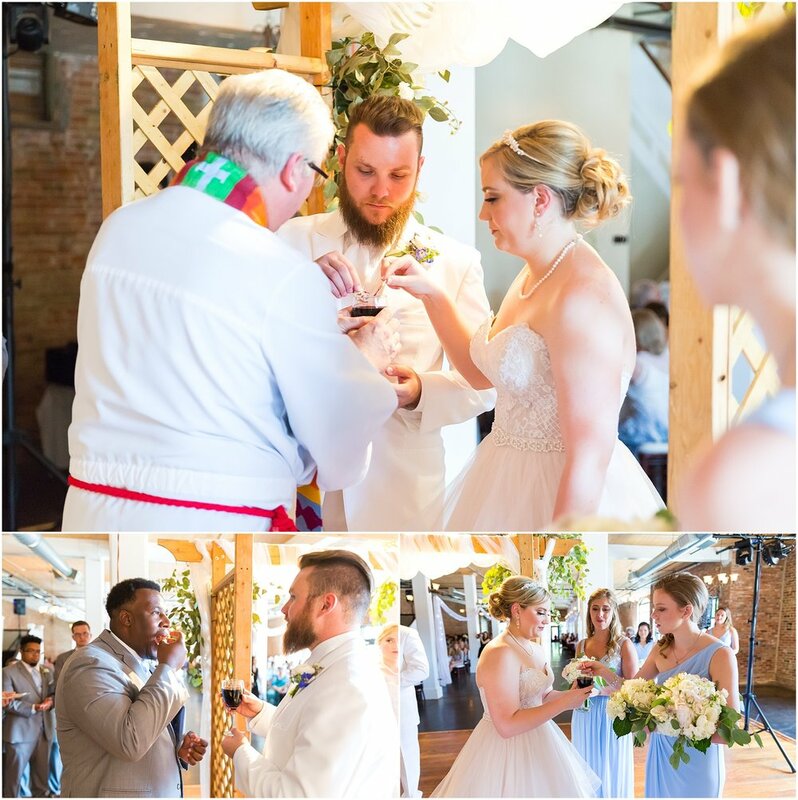 When it was time for their first touch, Michael surprised Gabrielle with a hand-written letter, and it was so sweet to stand back and watch her read his loving words to her on their wedding day. When Gabrielle came down the aisle escorted by her father, all the bubble girls began firing their motorized bubble guns. 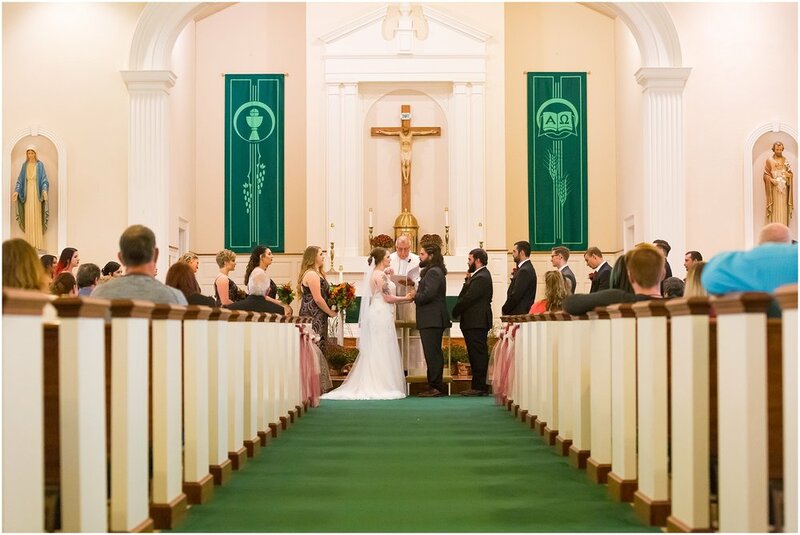 They filled the aisle, and in that moment Michael & Gabrielle began to smile and laugh at one another. Another joyful moment was the rain that had been looming overhead most of the day cleared up beautifully just in time to head down the road to Tonkawa Falls for some portraits with the bride and groom. 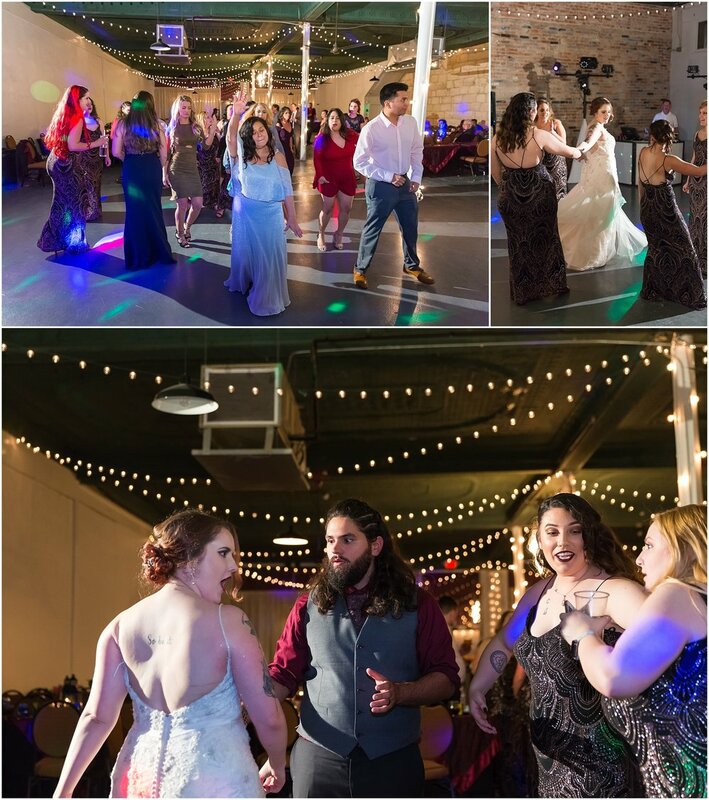 We love sneaking our couples away during the reception to have a moment of quiet, just the two of them, on their wedding day. So we were all so happy the weather allowed us to have that moment surrounded by the beauty of Tonkawa Falls. And at the end of the night, one of the sweetest, most joyful moments we’ve witnessed at a wedding happened. 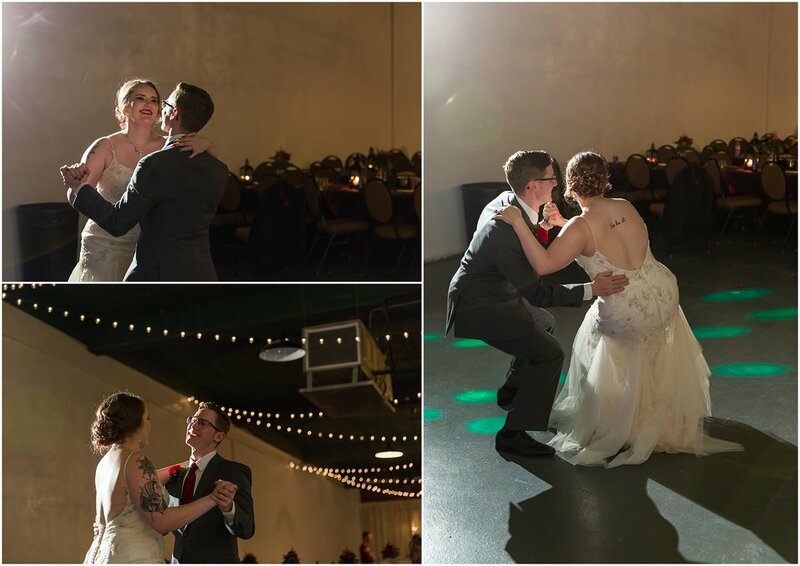 Michael & Gabrielle had their last dance before leaving the reception. 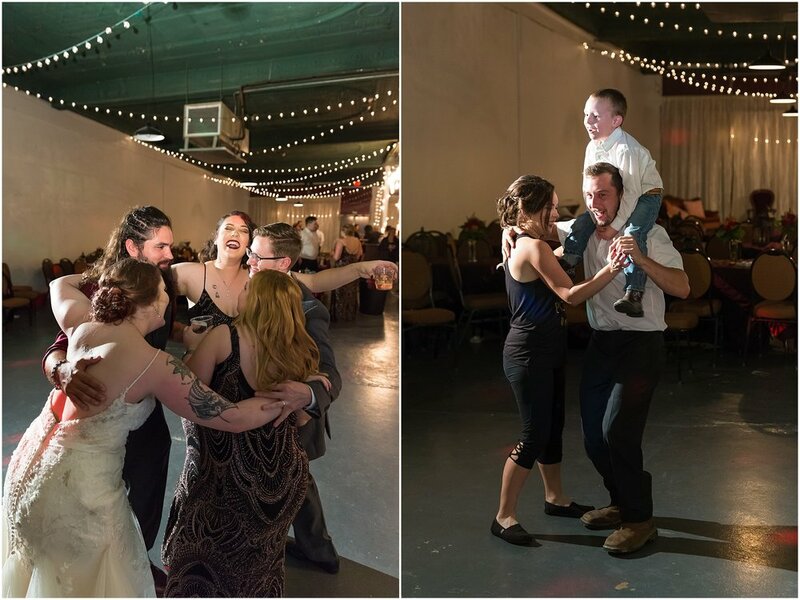 As they danced, their family and friends gathered in a circle around them, blowing bubbles. Seeing this couple in love, surrounded by the love of their support system, and bubbles, was the perfect ending to such a fun and whimsical wedding day. 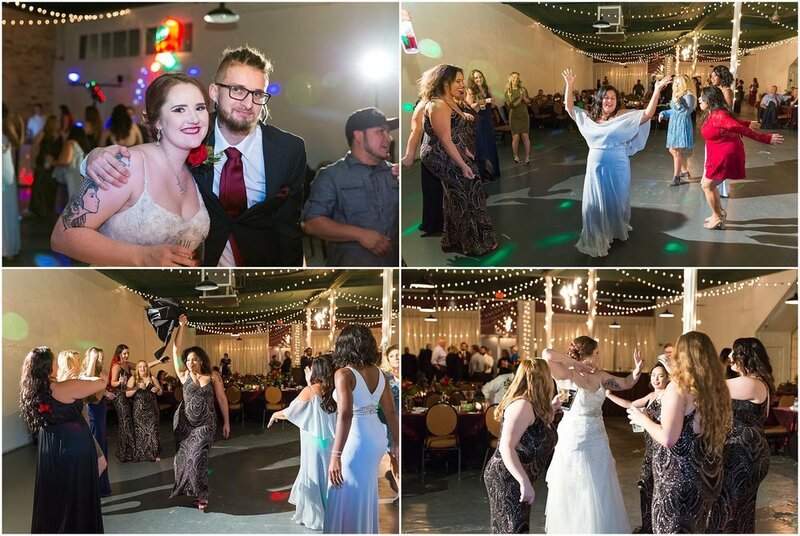 Your wedding day was full of so much fun and joy! Seeing the love you share between you, and all your family and friends, was beautiful. May you have many years ahead of you full of red crayons, unicorns, gnomes, bubbles, love, fun and joy! 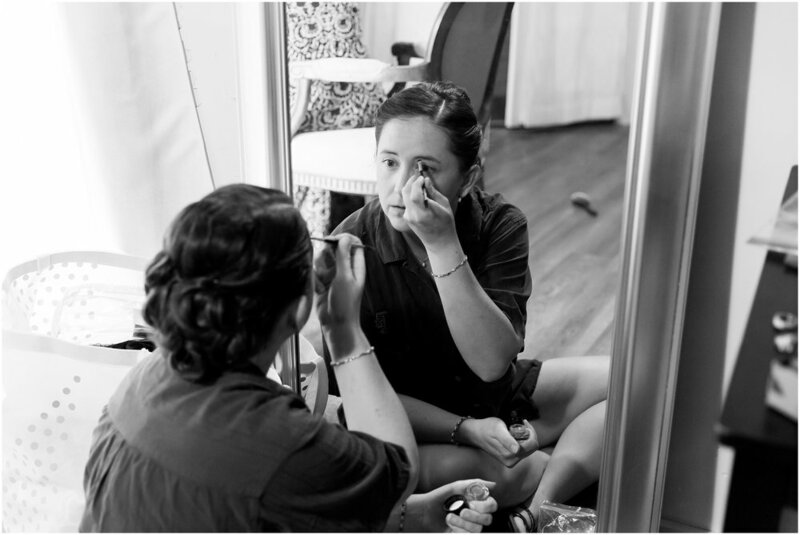 Did you love Michael & Gabrielle’s wedding day blog? You may like these other posts too! 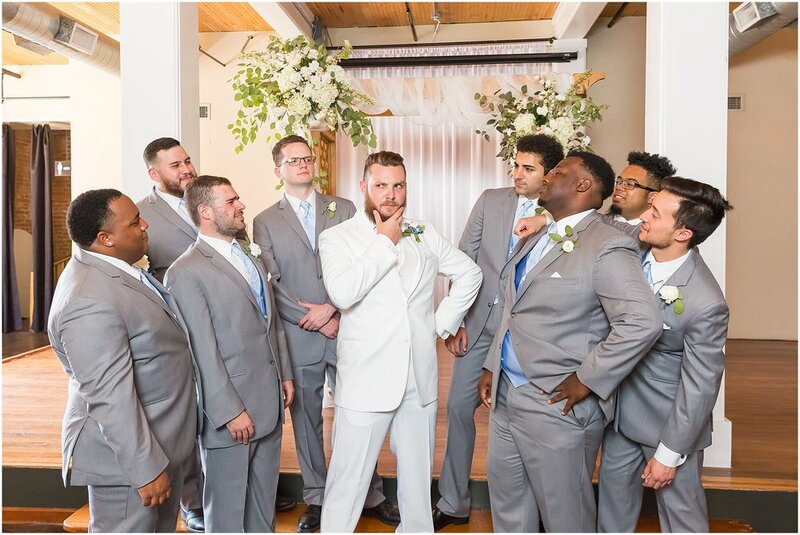 Gather round, friends, because we want to tell you the story of one of the most heart-warming and fun weddings. 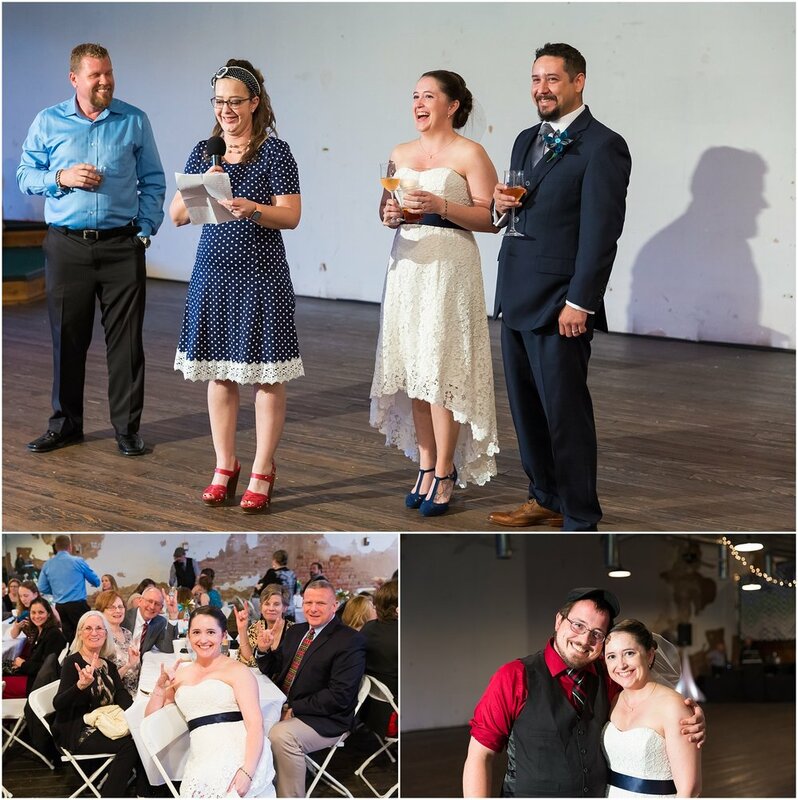 The story of Robert & Abbie’s wedding day. In case you missed Robert & Abbie’s engagement story, let me catch you up real quick. 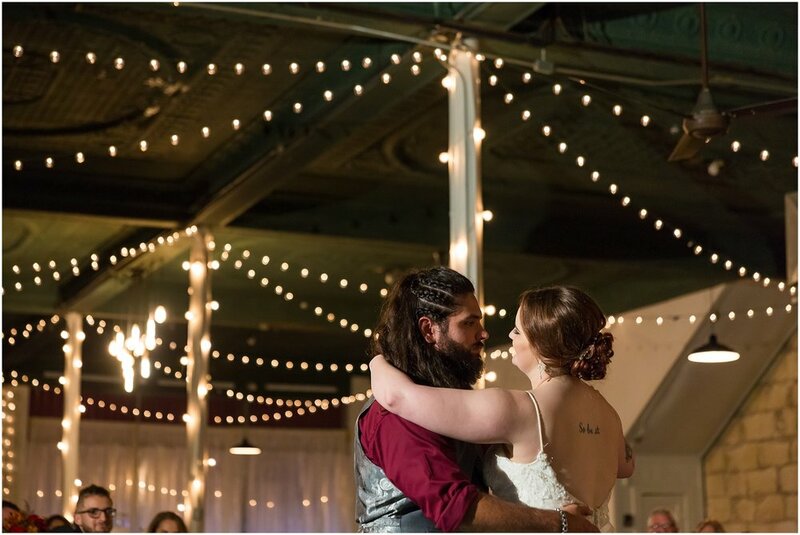 These two Sweethearts met in high school (HIGH SCHOOL!) as members of the same church in Houston. 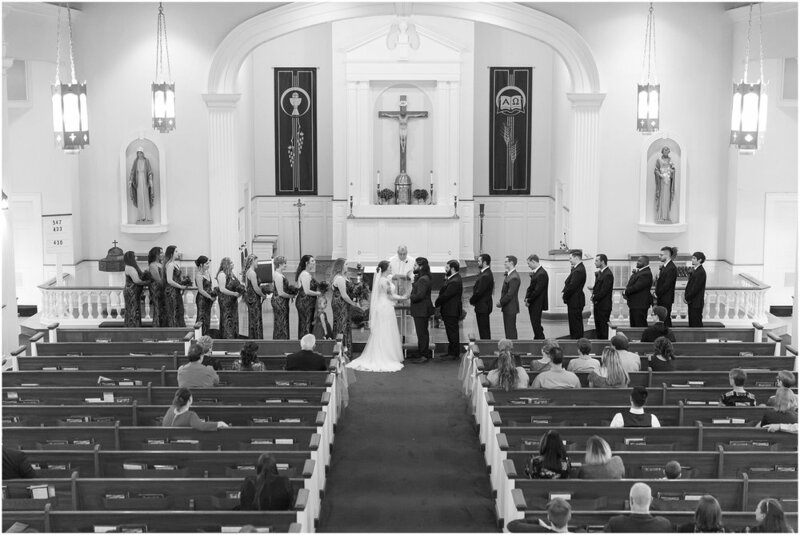 Fast-forward to freshmen year of college and they decided to make a long-distance relationship work while Abbie attended Texas Christian University in Ft. Worth and Robert studied at Baylor University in Waco. And for the remainder of their college career, they made it work by driving the stretch of I-35 between Waco and Ft.Worth constantly. Then right before senior year, on a perfect Waco date night while tossing tortillas from the Suspension Bridge, Robert proposed to Abbie. She said yes, and the wedding planning began. And what a wedding that was planned! 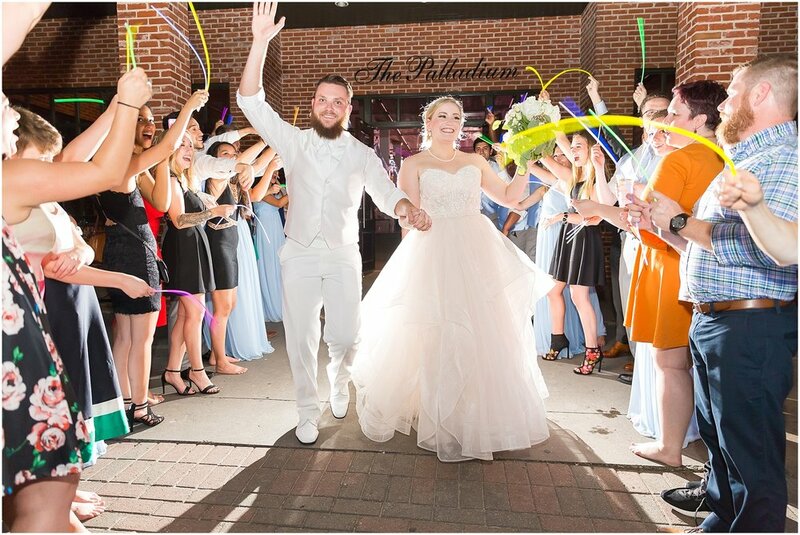 With so many Waco date nights, a proposal on the Suspension Bridge, and with Abbie joining Robert here in Waco now that she’s graduated TCU, Waco is definitely a big part of these Sweethearts’ love story. 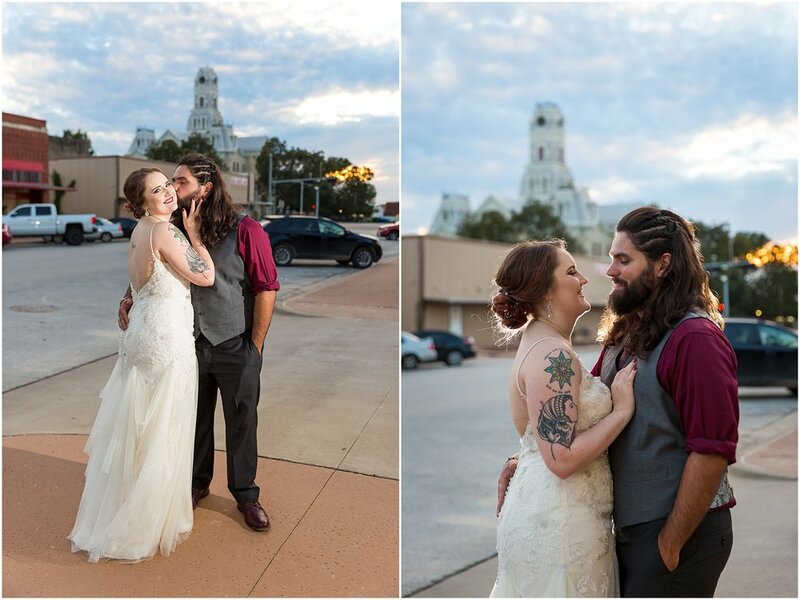 So it seemed fitting that Waco would continue to tell the story of their wedding day. 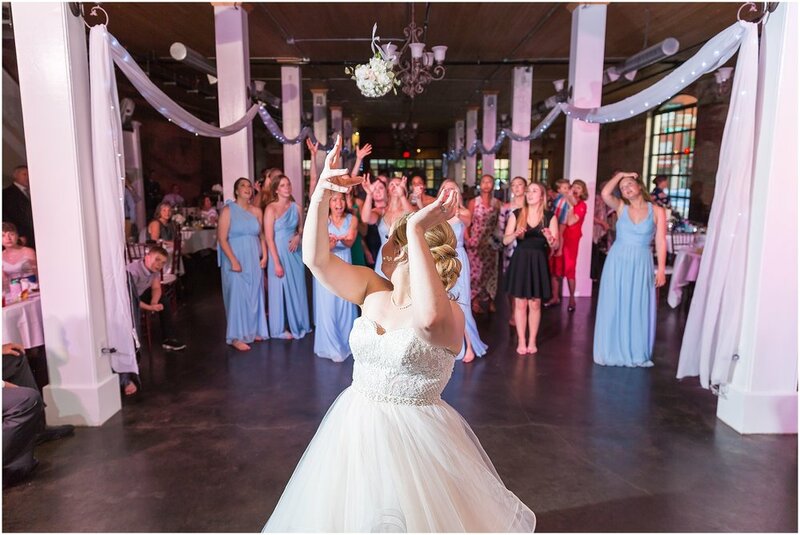 Abbie and her bffs/bridesmaids stayed in a real-life Fixer Upper house, and it was the perfect space for all the late night fun and getting glammed up for the wedding day. 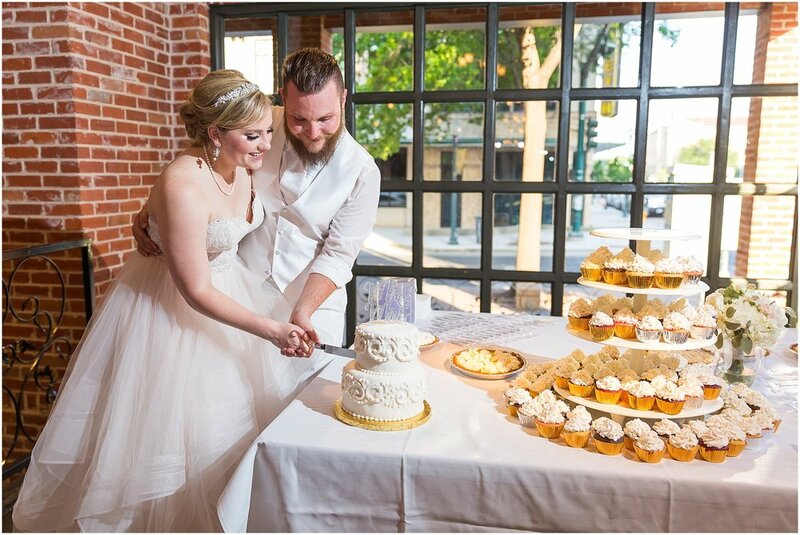 Robert & Abbie chose The Palladium as their venue, an elegant warehouse style venue perfectly situated in downtown Waco. Not only does The Palladium’s interior offer some gorgeous views, with it’s wood ceilings, stained concrete floors, exposed brick and floor-to-ceiling windows. 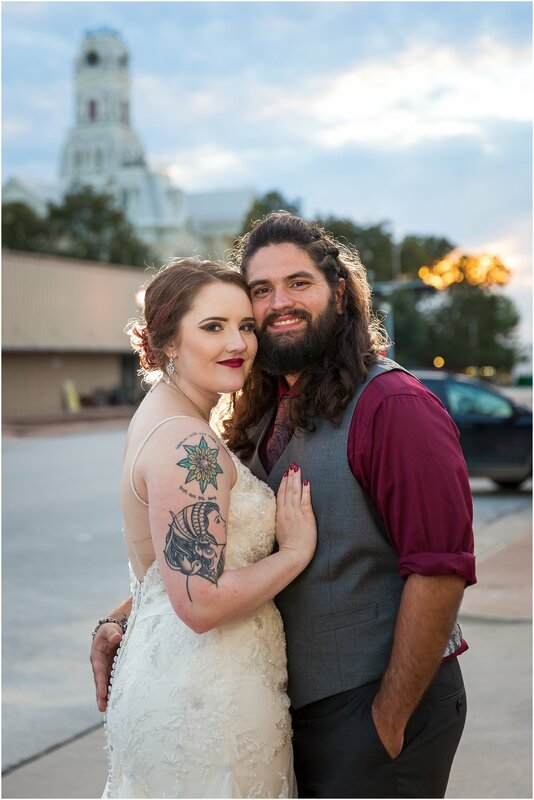 But it’s location in the heart of downtown Waco across from The Hippodrome provides some great cityscape backgrounds for golden hour portraits while the reception rocks on nearby. But Robert & Abbie’s wedding wasn’t simply gorgeous and heart-warming because of the pretty locations (and that blush wedding gown!). It was gorgeous and heart-warming because of all the little moments that made up their day. Moments like arriving at the rehearsal to see Abbie holding a puppy and beaming through tears because Robert just gave her that sweet puppy as one of the best wedding gifts. Moments like seeing Abbie’s besties from TCU all chip in during the dollar dance to dance with her as a group, realizing this was one last hurrah before they all go their separate ways now that graduation is over. It’s seeing Abbie walked down the aisle by her mother, a team of two who have been best friends for so long. Fun moments like when DJ Jon from RR The Voice Productions played the TCU fight song for Abbie and her friends, and then followed it up by playing the Baylor fight song for Robert and his fellow Bears. 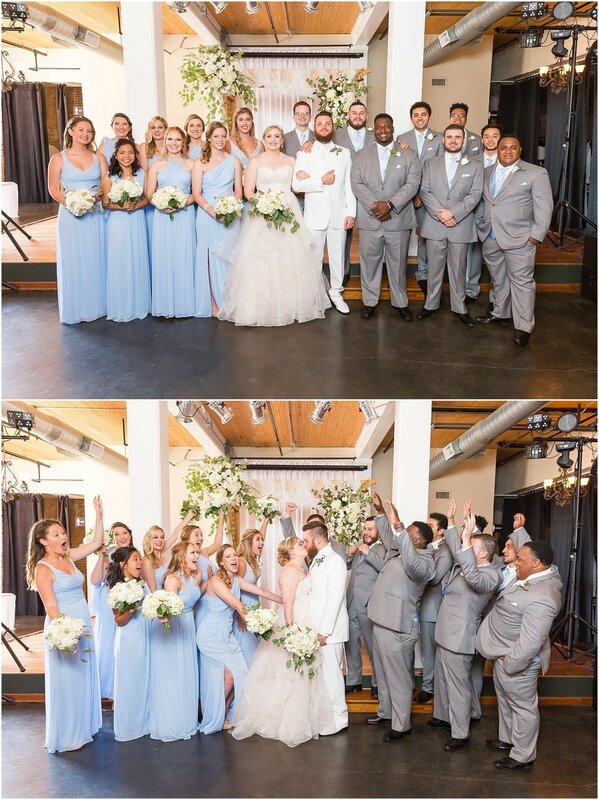 It was moments of seeing these Sweethearts cheered on and surrounded by their friends on the dance floor, dancing the night away in celebration of their love. 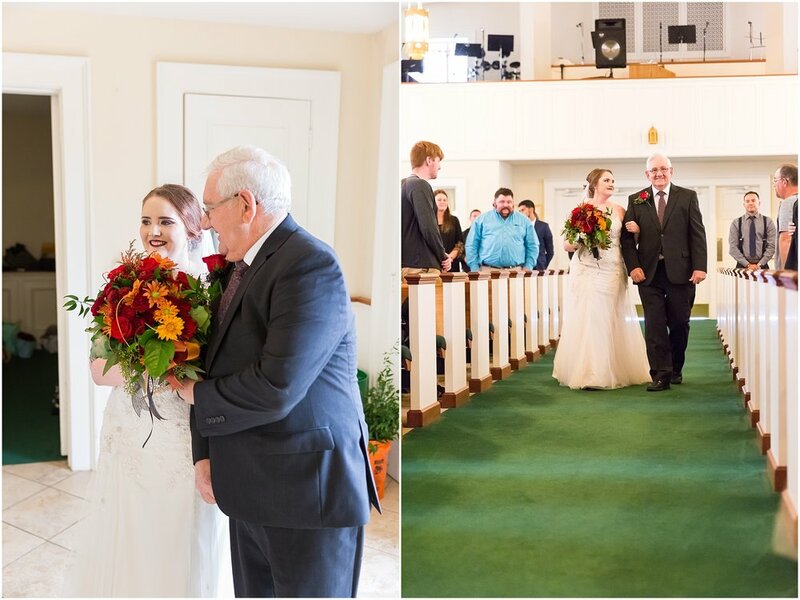 And it's those moments from their wedding day we pray Robert & Abbie remember forever. 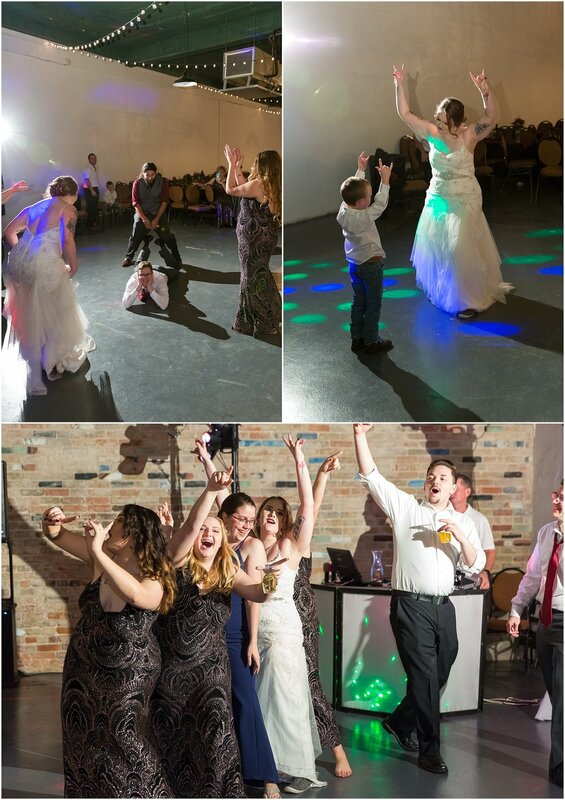 Your wedding was so full of love and fun, and we pray you remember how it felt for years and years. And that life as newlyweds with your new little puppy is everything you dreamed it would be. Now that you're official Wacoans, let's hang out and be friends still, ok? 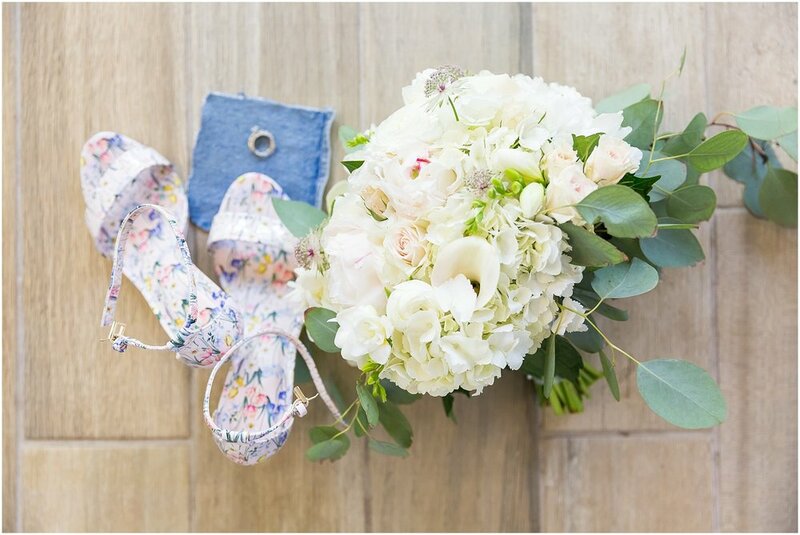 To see more of the Fixer Upper Abbie used as her bridal suite, visit here.